The real Moomins are probably busy hibernating right now – or filling their tummies with pine needles in preparation for their long sleep. 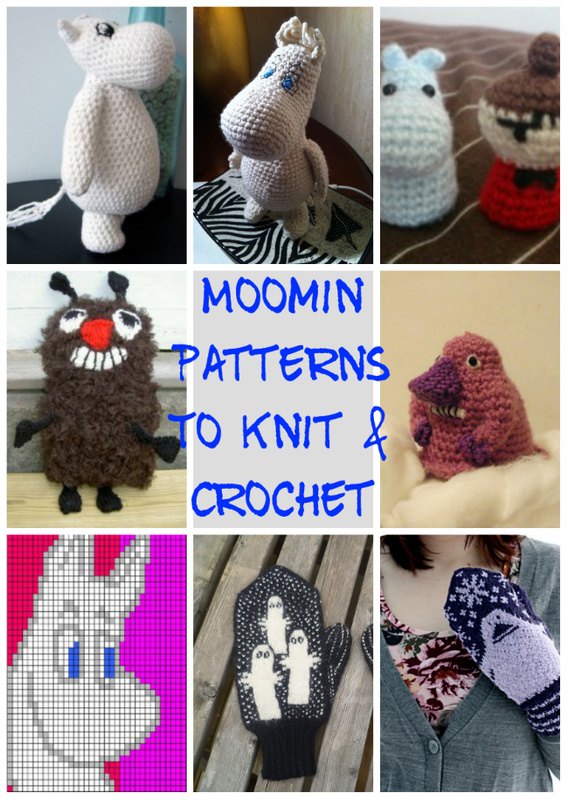 So here are some nice Moomin knitting and crochet patterns that will help you to get over your sadness. 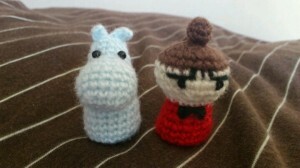 I’ve been hunting them down all round the web, including some from Japan and the Moomin homeland in Finland. 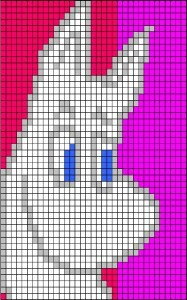 Free Moomin Patterns are hard to find. 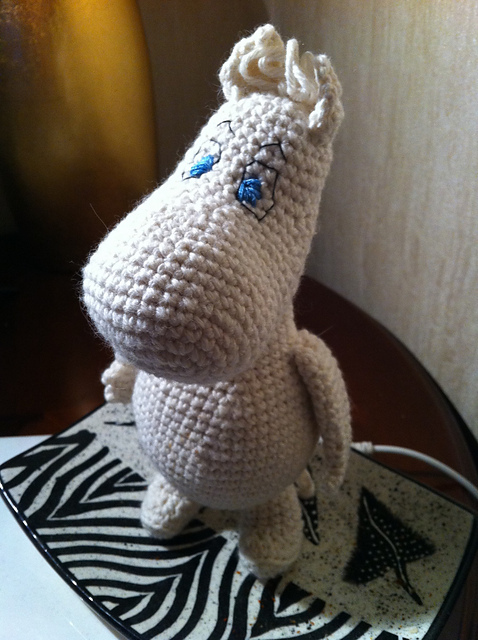 I trawled the web for Japanese sites (where they love their Moomins) and found some amazing amigurumi that people had made without patterns. 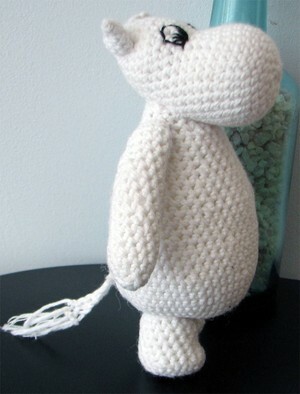 Thanksfully, Samigurumi created this excellent Moomin and then obliged us all by providing the free crochet pattern. 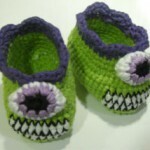 Brilliantly named pattern from the Crochet Amigurumi blog. I’ve linked to the translation above but in case it doesn’t work, here’s the original pattern. 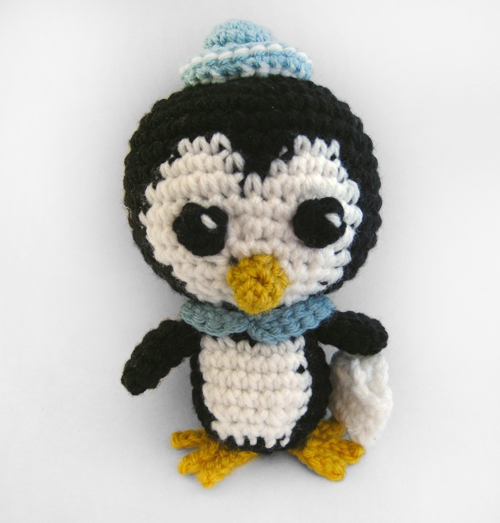 To make Moominpappa, crochet this Professor Layton Top Hat. This Barbie handbag/purse isn’t *quite* right for Moominmamma, but it’s a good start. 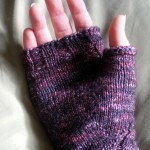 These mittens are absolutely lovely – and totally free! Hurray! 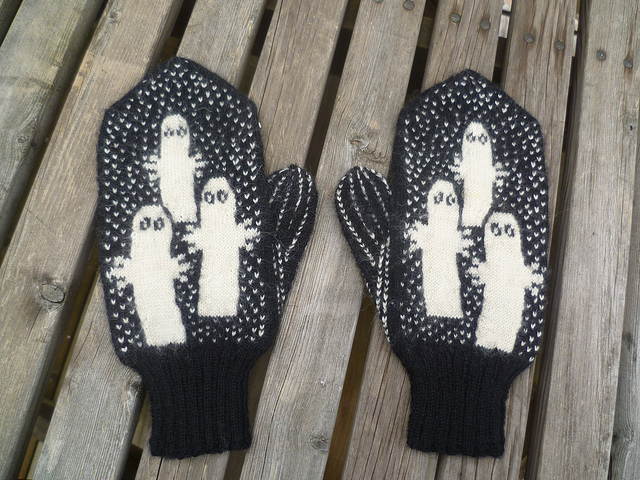 Brought to you by the amazing Soile Peltokangas, you can see her original blog post about the mittens here. This Groke pattern by Małgorzata Bańdura captures all that’s creepy about the Groke. She’s sure to send a chill down your spine (ho ho). This Stinky pattern is really very cute. Thanks to Jenny F for not only creating it and providing it to all of us gratis, but also for taking the trouble to translate it. Marvellous! You can knit or crochet a lovely Moomin face using this chart – ideal if you want to make a sweater, a pot holder or anything else your heart desires. Thanks to Vanessa Townley for making it! The Japanese librarian who made these lovely Little My and Moomintroll amigurumi has yet to share his pattern, but if you are a canny crocheter, you might be able to re-create them direct from this photo. 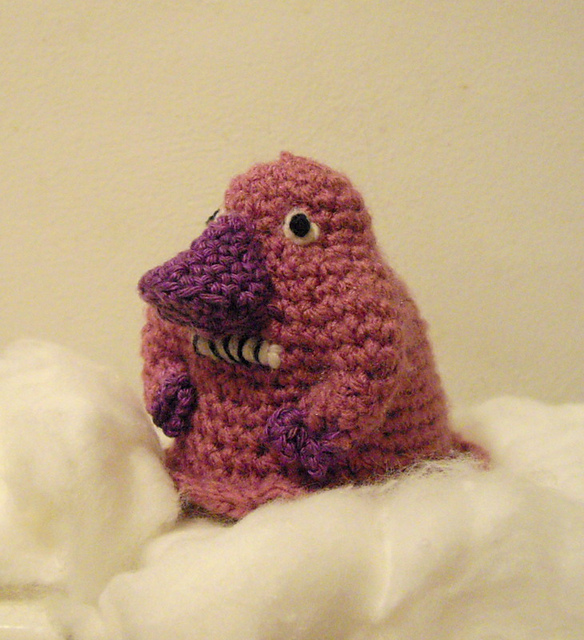 The same goes for these amazing Hattifattener and Groke amigurumi. 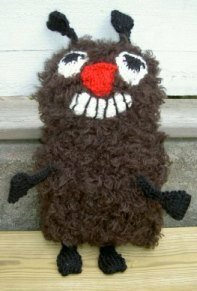 Alternatively, just use a tampon and make yourself this rather fetching Tampon Hattifattener. 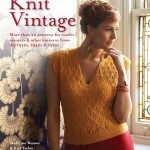 Let me know if I’ve missed any good patterns! 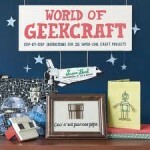 Peppa Pig knitting and crochet patterns!